Whenever a country comes close to making a deal with Russia that will advance its trade and economic interests, and not the US', US senators decide to intervene. This was the case when three US lawmakers visited Bulgaria, a trip closely followed by Sofia's abrupt cancellation of the South Stream pipeline project. 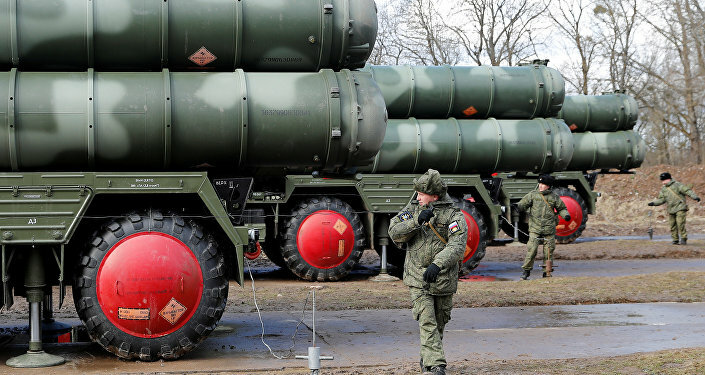 Now it's Turkey's turn: Ankara is determined to buy Russia's S-400 air defence systems, but is having its arm twisted to forget that deal in order to buy the US' the notoriously expensive and unreliable F-35 aircraft. This time senators didn't travel to Turkey, but confined themselves to a newspaper article. Senators Jim Inhofe (R-OK), Jack Reed (D-RI), Jim Risch (R-ID) and Bob Menendez (D-NJ) published a joint article in the New York Times threatening Ankara with all kinds of economic sanctions if it honored the S-400 deal. The article also threatened the destruction of Turkey's defence industry and hinted the country could be expelled from NATO. Inhofe and Reed are the chair and ranking member, respectively, of the Senate Armed Services Committee. Risch and Menendez are the chair and ranking member of the Senate Foreign Relations Committee. "Turkey will be sanctioned as required by United States law under the Countering America's Adversaries Through Sanctions Act [CATSA]," the senators write in the article. "Sanctions will hit Turkey's economy hard — rattling international markets, scaring away foreign direct investment and crippling Turkey's aerospace and defence industry." Furthermore, "no F-35s will ever reach Turkish soil," the lawmakers write (as though that's a bad thing). They add that buying the S-400 will result in Turkish companies being booted from the jets' spare parts manufacturing and maintenance programs. Oh, and the $1.25 billion Turkey's allegedly already invested in the program? It will be "squandered," the lawmakers say. "Turkish companies that produce parts for the F-35 will see their orders dry up completely," the lawmakers write. "President Erdogan's hope to make the Turkish defence industry a key pillar of economic growth for the future will be dashed." "Abandoning the F-35 will have severe consequences for Ankara," the article says, edging toward making direct threats. "We are committed to taking all necessary legislative action to ensure this is the case." In the meantime, while threatening Ankara with "severe consequences" for making a trade agreement with Russia, the lawmakers also take the time to paint Russian President Vladimir Putin as a global villain. "Mr. Putin is not an ally of Turkey any more than the Soviets or the czars," the quartet writes. "If he succeeds, what little regard he has for Turkey's interests will shrink further." According to the lawmakers, Russia seeks to cut Turkey away from its good, caring friends in the West, omitting the fact that Turkey has waited 20 years — since 1999 — to join the EU. If Turkey turns away from the West, Russia will make Ankara "suffer," the lawmakers say, describing the future relationships as "Russia does what it can, Turkey suffers what it must." The four senators say Russia can only "fear" and "respect" Turkey when it's "anchored" to the West. To preserve that connection, Turkey must immediately ditch the S-400 deal and opt for the US-made Patriot missile defence system instead — which, according to a table presented by Defense World, is quite inferior to its Russian counterpart. In the meantime, US Secretary of State Mike Pompeo also threatened Egypt with sanctions should Cairo buy Russian Su-35 jets. "We have received assurances from [Cairo], they understand that, and I am very hopeful they will decide not to move forward with that acquisition," Pompeo said before the Senate Committee on Appropriations Tuesday. However, Pompeo avoided directly answering a question from the committee on whether an S-400 delivery to Turkey would trigger a sanctions response under CATSA act.